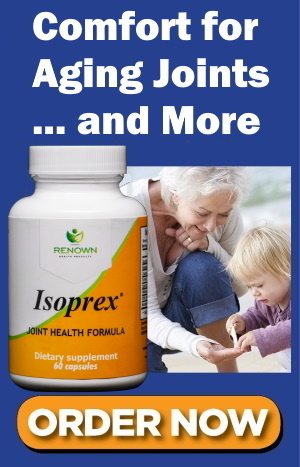 Best of all, Isoprex ® is 100% RISK-FREE, backed by our 60-Day Money-Back Guarantee of Satisfaction. So you have nothing to lose. And when you act now, you can SAVE up to 33% off the regular price. 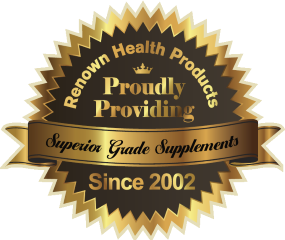 Plus claim up to 3 Health Guides – a $59.85 value, FREE! 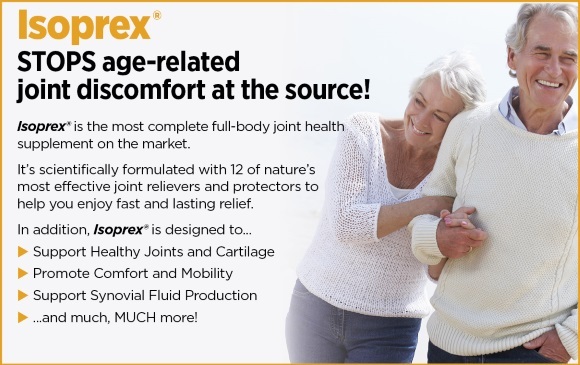 Don’t spend the rest of your life suffering from age-related joint discomfort. 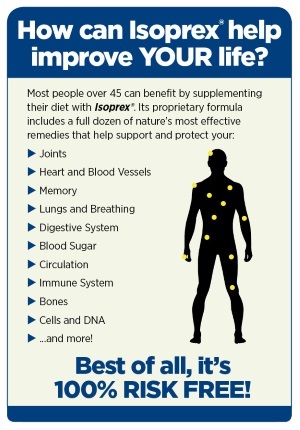 Block it at the source with Isoprex ® today! 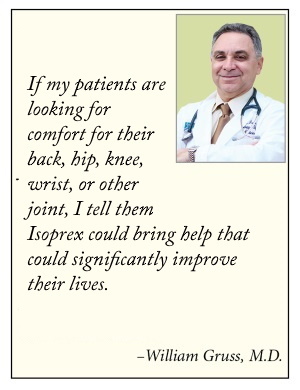 DISCLAIMER: Talk to your doctor or health care provider to determine if Isoprex ™ is right for you and is safe to take with your medications. Do not start or stop any prescribed medication or treatment without first consulting your doctor or health care provider.